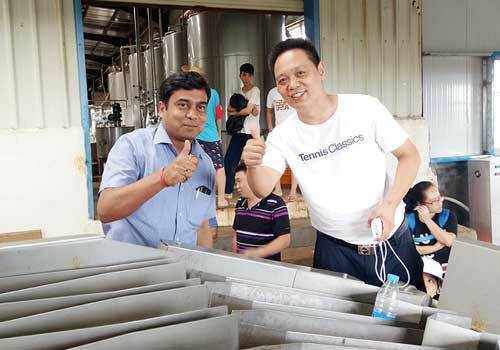 Tips: TICO can accept customized fruit juice processing machine, please contact us for the details. Processing fruit juice is inseparable from the fruit processing equipment. To ensure fruit processing efficiency, you need fruit washing machine. The fruit washing machine of our factory has set up two stages of steam bath and spray, ensuring the cleaning effect of fruits. Our company (TICO) specializes in cleaning machines for many years, and is really a good equipment that can stand the test of time. Mangos, oranges, apples and other fruits can be cleaned with this machine. Our factory sells fruit washing machine directly. Which mango washing machine is good? What is the price of orange washer machine? Our fruit washing machine is suitable for cleaning many kinds of fruits, and can be customized according to the quality requirements of the products. In addition to motor, bearing and other standard parts, the fruit washing machines are made of stainless steel materials. 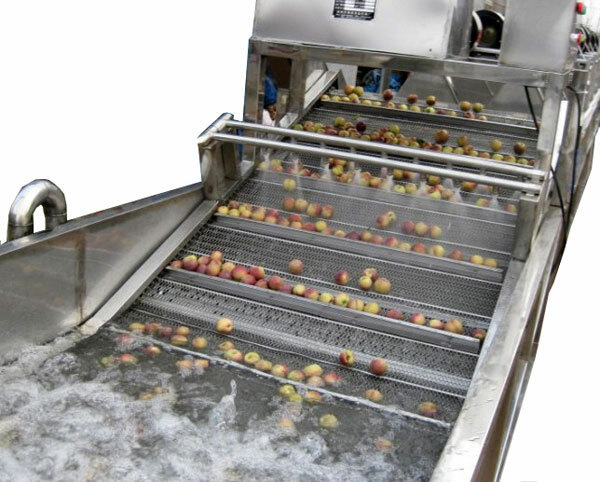 The fruit washing machine fully meets the hygienic requirements of export food machinery. In most factories, the fruit washing machines used today are all belt-type or belt-based combination washing machines, which mainly use belt drive for flow-line operations. The main decontamination cleaning device is brush roller and water spray pipe. The equipment is equipped with a bubble generating device, which makes the fruit roll over and removes the residue on the surface of the fruit. At the same time, a suitable amount of medicament can be added to disinfect and fix the color. 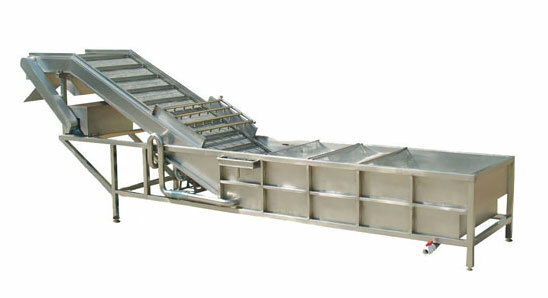 The float can overflow from the overflow trough and the sediment can be discharged from the sewage outlet to achieve the purpose of cleaning. The spray type bubble washer can wash the vegetable and fruit surface with the principle of bubble shock wave, and improve the work efficiency of more than 50%. Adopting advanced water treatment system to disinfect cleaning water can effectively kill harmful bacteria and decompose pesticide residues. The machine is equipped with a vegetable separator, which effectively isolates the cleaning material from the washed sediment, reduces the turbidity of the water, and greatly improves the recycling efficiency of the cleaning water. It can save 80% of the cleaning water and save manpower. Easy operate, low energy consumption, hygienic, safe and high efficiency. The specific price of fruit washing machine should be determined according to its size and engine type. If you want to buy a fruit washing machine, contact us please. We will provide you with the corresponding price equipment according to your needs. Specializing in the production of vegetable washing machines, fruit washing machines, cleaning lines and other food cleaning machinery and equipment. Years of practical applications have proved that our machine is efficient and stable. Price problem: the fruit washing machine price is subject to our company’s actual quotation. Equipment Problem: our company strictly checks the machinery before delivery, so as to ensure that there is no problem. Equipment attributes: Before placing an order or purchasing, please consult the model, specifications, sizes, company contract, etc. of the machine you need. Contact us: you can contact us by sending email. Our salesmen will serve you. You can consult any questions about the fruit washing machine, including price, type, etc. We will reply to you at the first time after receiving your message. Welcome to the consultation and cooperation!